Downward momentum reducing gradually, which is good thing. Shouldn't break Min. support, if at all, max. support. RSI Breakout can keep in watch. A positive breakout of Upper trend line from Demand zone is VERY bullish . 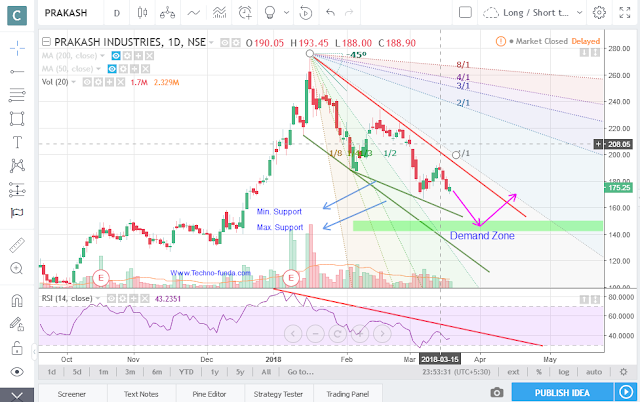 Immediate support @165, closing below this level, we can see the stock heading to demand zone .